ANH CAO Law Office Of from Gretna Louisiana works as Attorneys, Bankruptcy Lawyers, and Immigration Lawyers. Feel free to contact us at the following contact information. 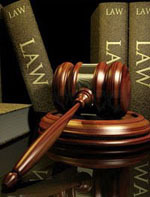 Bankruptcy Lawyers: Bankruptcy law provides for the development of a plan that allows a debtor, who is unable to pay his creditors, to resolve his debts through the division of his assets among his creditors.The philosophy behind the law is to allow the debtor to make a fresh start, not to be punished for inability to pay debts. Bankruptcy law allows certain debtors to be discharged of the financial obligations they have accumulated, after their assets are distributed, even if their debts have not been paid in full. Some bankruptcy proceedings allow a debtor to stay in business and use business income to pay his or her debts.